…I’m waiting for the husband to emerge from the Ironman briefing. I’ve just driven through Weymouth, having dropped him off and apart from the normal crowd, there are athletes everywhere I look. It’s brilliant to see. There’s cyclists dodging the rush hour traffic with their aero helmets and stunning bikes. People are running along the sea wall. Also people with their partners having a coffee. … all bringing much needed trade at the end of the season. I saw swimmers earlier as Dave registered. 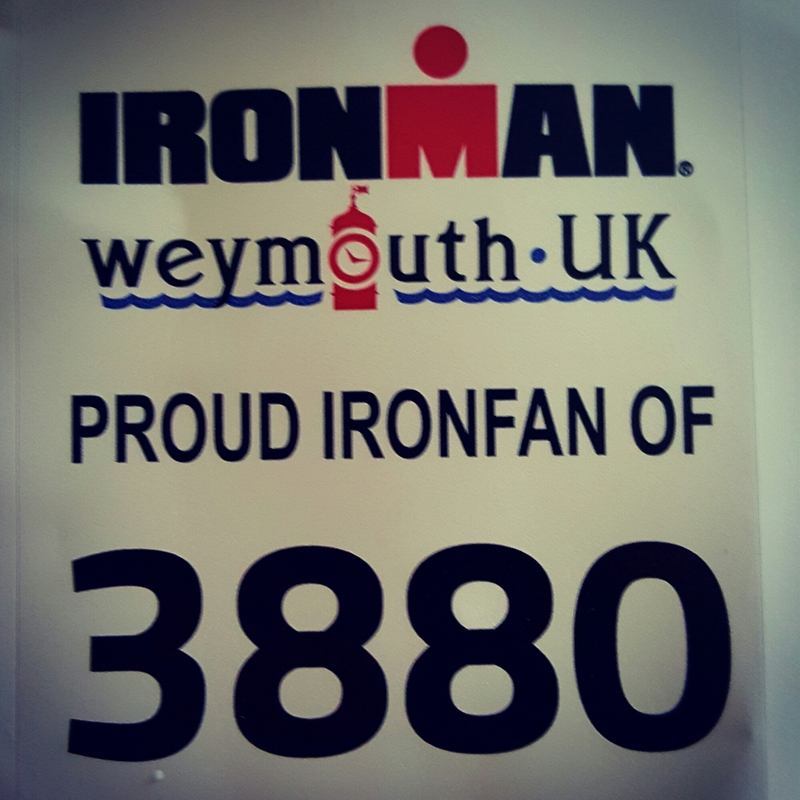 They are a distinctive bunch, with the blue/black ironman rucksacks and if you look carefully the grey wristband. Accommodation is tough to find, taxi’s are doing a roaring trade. Restaurants and cafés are also busy..
Good luck to all of you who’ve trained with blood sweat and tears. It’s a big deal and preparing for an Ironman can be one of the most mentally challenging thing someone can do…especially if it’s your first one!